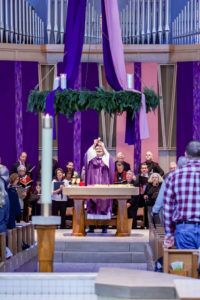 Don’t miss our Advent Wreath Workshop for all ages! Couples, singles and families can create their own Advent Wreath. Discover ways to celebrate the season. Join us on Sunday, November 18 from Noon to 2:00 p.m. in the Spiritual Center Gathering Area. Lunch and all materials provided. This event is FREE, but RSVP is required by Nov. 14. To register, call the Parish Office at 330-867-1055 or register online by clicking below.